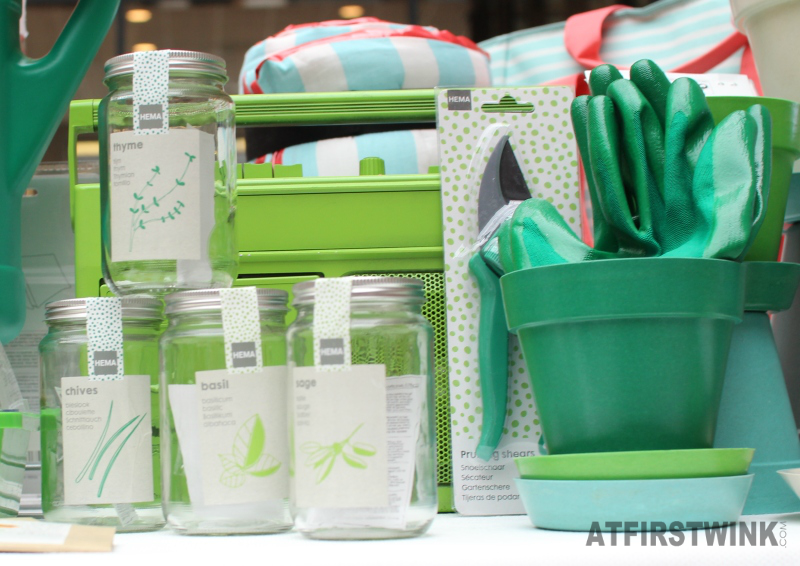 On the HEMA Press day S/S 2016, I also discovered a lot of interesting new products that would be great for people who like gardening, picnicking, and go camping. 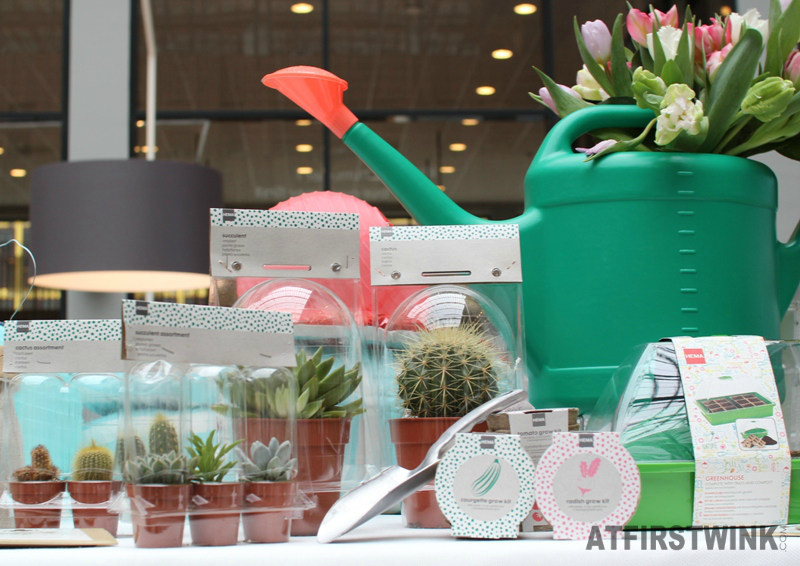 One of the most interesting products that I found was the cactus plants in different shapes and sizes. 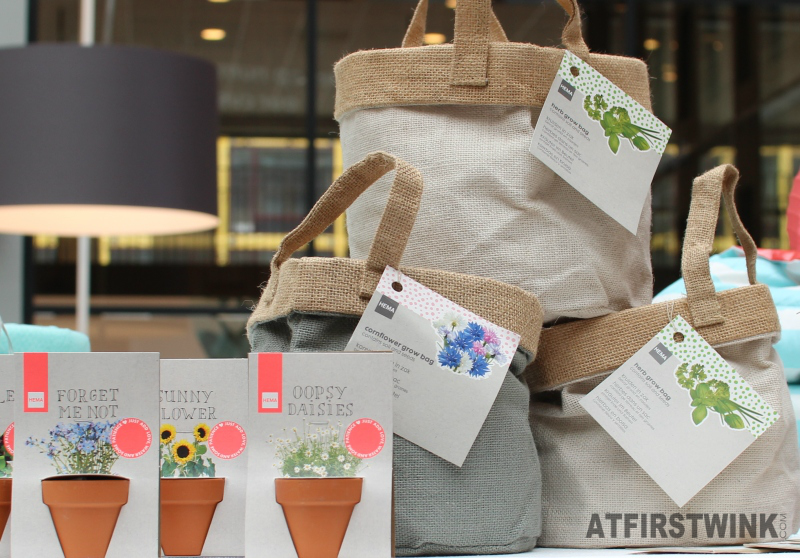 It is pretty rare to find these sold at a department store, as who are going to water them? 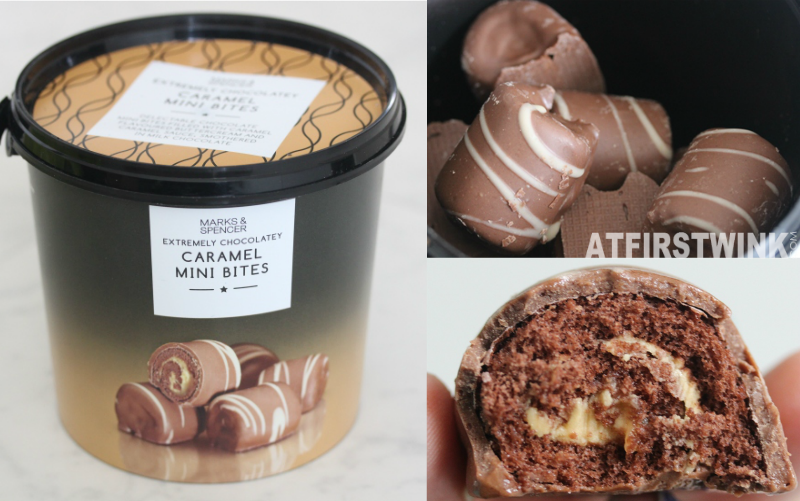 The cool packaging does make it a fun gift to give away. Besides the courgette, radish, and tomato grow kits that you can see in the previous picture, there are also these herb grow kits in a glass jar. You can grow thyme, chives, basil, and sage. If you think that glass jars aren't already special enough, you can also grow herbs and cornflowers in large burlap sacks. 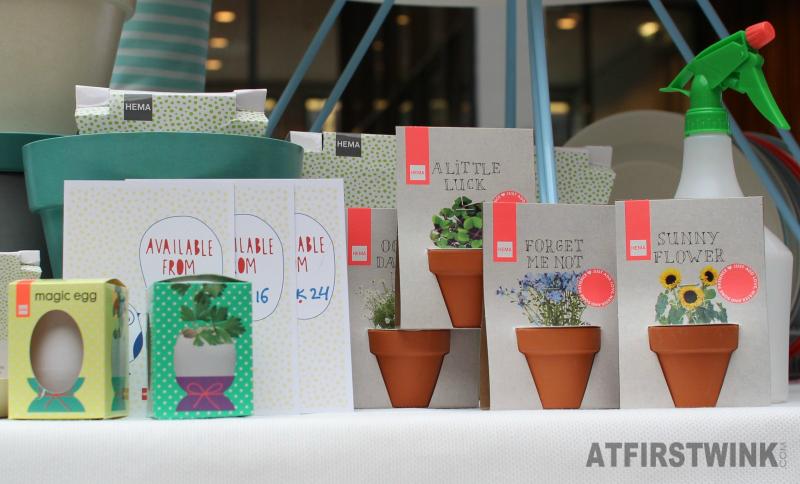 It is also fun to gift someone these cute little cards with a small flower pot attached to it. When someone made a mistake, you can give them some "oopsy daisies". When someone is having a bad day, you can brighten their day with a "sunny flower". When someone is leaving you, you can send them a "forget me not". When someone is having bad luck, you can give them "a little luck" (a pot of 4 leaf clovers). The magic egg is also a nice surprise. Who would have guessed that a plant will grow out of it? 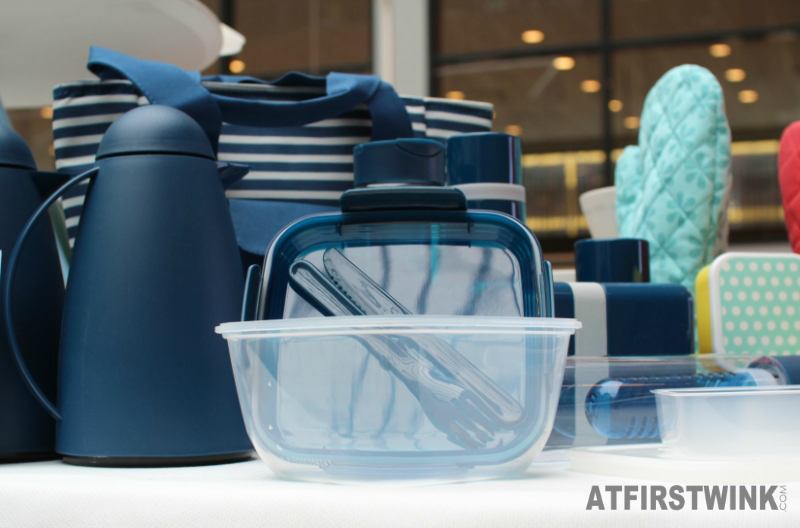 HEMA will have a new line of lunch boxes, water bottles, lunch boxes, insulated bags, and coffee/tea cans, in the main colors: navy blue and turquoise. 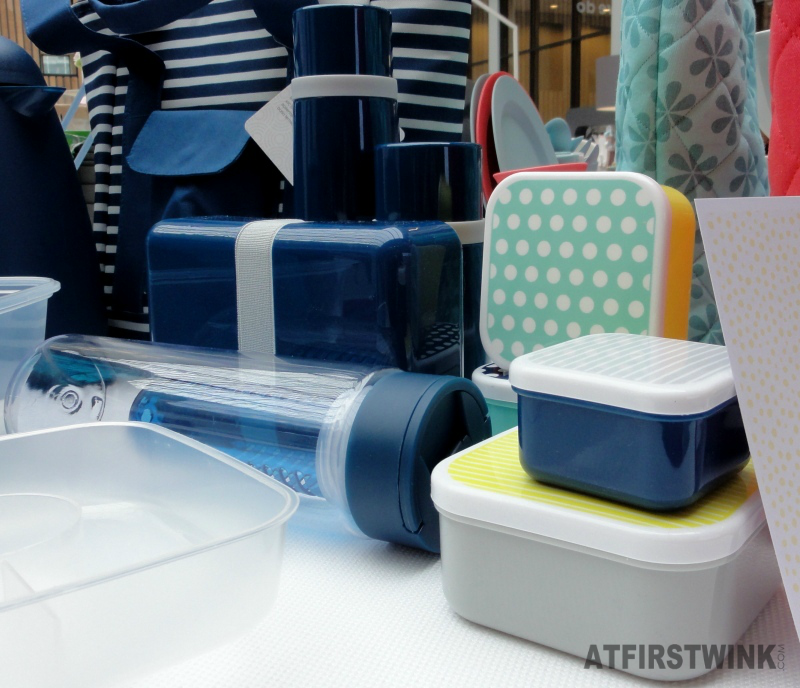 I especially like the large insulated striped bags, the transparent lunch box with attached fork and knife, and the transparent infuser water bottles (the inner compartment can be used to fill up with fruit or mint leaves -> water with a flavor). The medium and large insulated bottles in the color combinations navy blue-grey and turquoise-yellow are great to carry soups and (pasta) sauces in. 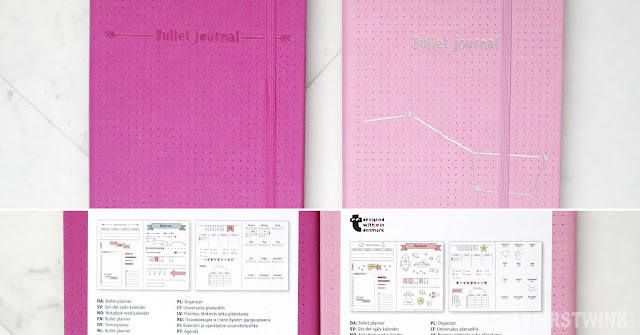 The lunch boxes with colorful stripes and polka dot prints on the covers are cute too. Although I like the navy blue-grey striped insulated bag too, the striped turquoise bag with coral straps looks the prettiest to me. 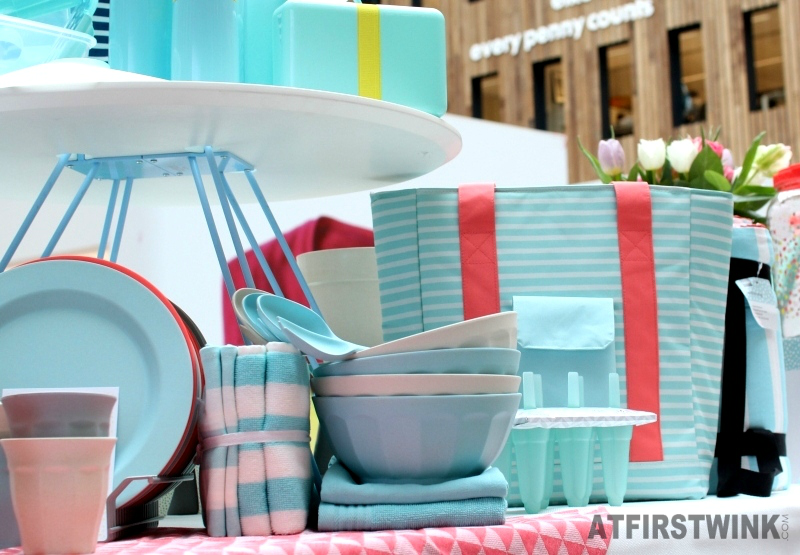 The turquoise ice lolly moulds are also available in pink. When you go camping, light, warmth, and water are essential things to have. 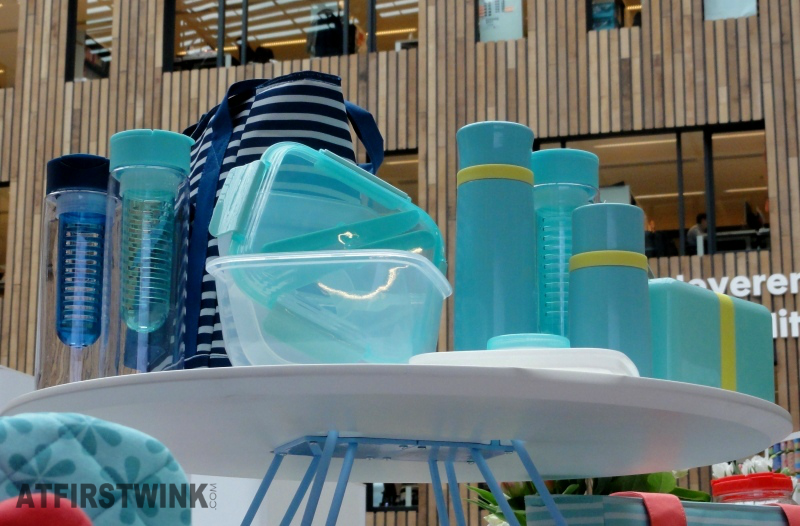 You can now store water and juices in these two new plastic drink dispensers, which have a different print than the ones I saw at the HEMA press day S/S 2014. Instead of a leaves print, they now have a confetti print in white and multi-color. Light can be provided by the large round lantern (easy to find your tent or camping car at night), or the pull LED light bulb and the light chain in the box right next to it, which are both battery operated. To keep yourself warm, you can use the thick striped turquoise-white rug to sit on. 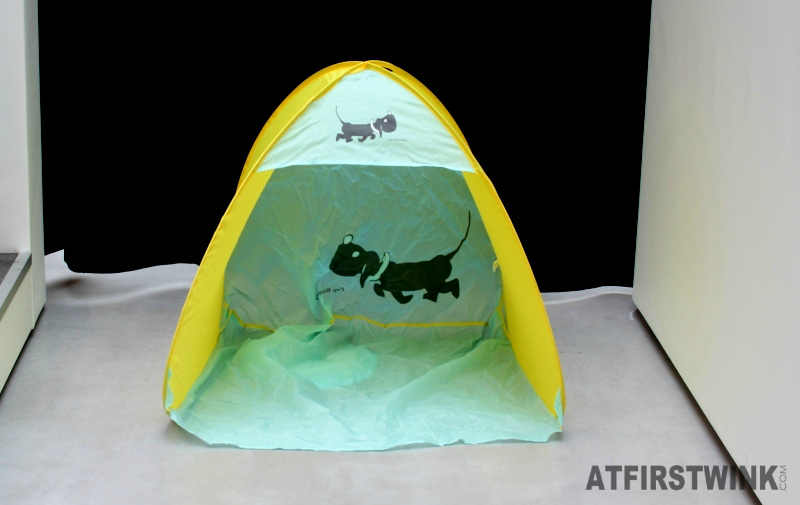 This open tent has a print of a cute cartoon dog with the name Takkie on it. I think it would be great for children in the garden or at the beach.